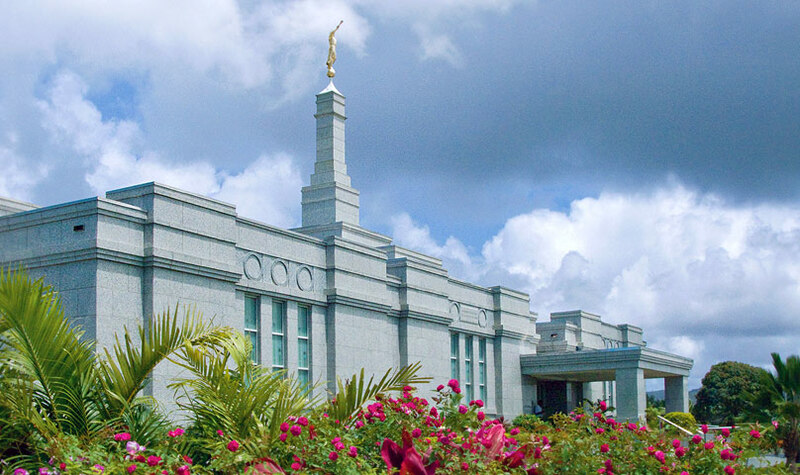 The Fiji LDS Temple located in Suva, Fiji had been inundated with leaking problems since its construction in 1990. 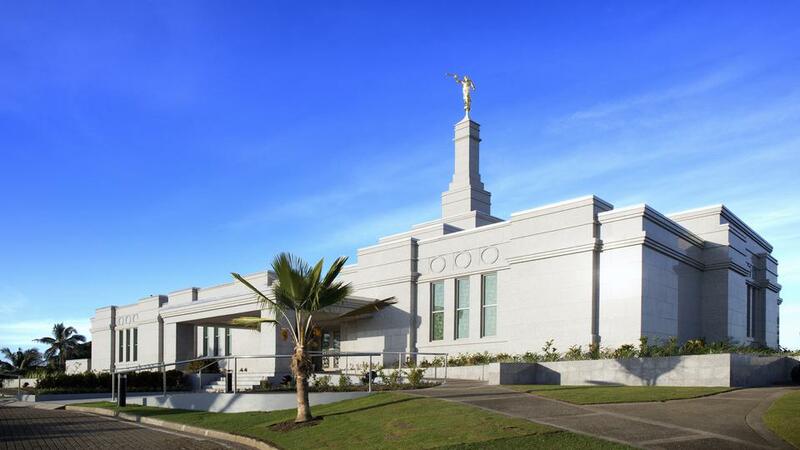 The LDS Church hired a third-party consultant to design a correction to to the chronic leaking. Clark’s Quality Roofing bid on the project, but also included an alternative solution that the team felt would be more functional. CQR identified the following challenges .The church was spending too much time and money on maintenance. They needed a lasting solution that would eliminate the high cost of repairs. The consultant, however, designed a standard, textbook fix for the leaks. To truly remedy the source of the problem, more in-depth field work and hands-on experience was needed, so the actual cause(s) of the leaks could be detected. Without this crucial information, a proper solution could not be determined. CQR determined that the original repairs designed by the consultant were not appropriate for the presenting problems. Instead the CQR team installed a new monolithic PVC roof system. It extends from the marble walls, across the entire metal roof, including the interior gutter system. The sealing problems were solved with gutters and flashings. They lined the interior of the marble tower with PVC to capture and drain any water as an added precaution. CQR re-caulked the upper wall section and installed new drain inserts that tie into the new roof system. CQR used a hands-on, roof management approach, saving the owner time, money, and ongoing frustration. Roof management included the thorough onsite inspection, designing the appropriate repairs/scope work , and the quality installation of the most cost-effective. The new PVC roof along with fixing the additional problems cost only $340,000. This compares to the lowest repair-only bid given before the additional problems, which started at $290,000. The bid for a new metal roof was over $1,000,000.